In the spirit of Sindbad, I went on a voyage and just recently, returned. It was a digital voyage. Not really a voyage I guess, but I left where I was and out of curiosity went somewhere different and then here I am again. I journeyed to the edges of minimalist window managers and desktop environments in Linux. While doing so, I often experienced a completely black screen (call it a desktop) from which I was only able to send messages to the system by way of a run dialog opened with the keystroke alt+F2. Like a sailor whose map is the stars and navigates better at night than in the day, I found that a simple run dialog was often more efficient (and certainly much simpler) than desktop icons or menus. Better still was the boolean search feature in Thunar which would allow you to access any icon in the /usr/applications directory. As I continue with my tale from strange lands, I discovered the near ability of the Opera browser to replace all the functions of my operating system with the exception of the ability to run Opera itself. In addition to browsing the internet I could read my email and RSS feeds and also browse (in a primitive way) my hard drive and even write postings via it’s onboard notes feature. I loaded a widget that completely replaced the calendar, clock and appointment manager that normally requires a taskbar and system bar and was able to switch from application to application via something so incredibly simple as alt+TAB. The greatest moment of all was discovering this stunning image of the planet Mercury which, like my empty, minimalist desktop (no taskbar, no icons, no clock, no right-click menu…) fitted in quite well with my floating in space desktop environment. 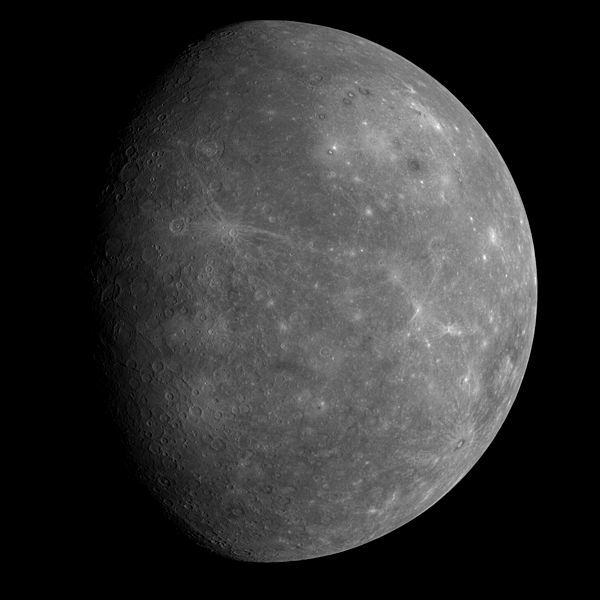 I splurged with 8MB of RAM and launched xfdesktop and dropped this image of the planet Mercury into my desktop, which now was a completely black screen with only Mercury on it. I don’t know if Windows will allow you to work with just a black screen and a few simple keystroke combinations, but I heartily recommend giving it a try if only for the brief feeling of drifting in space. The thrill of Linux isn’t something as trivial as merely escaping the orbit of Micro$oft Windows. It’s about forgetting all about that old planet Earth and floating through space on a Journey to Mercury.